In recent years, as digital marketing has risen in popularity, it has become pretty evident that the industry is seriously lacking in females. Although we’ve come a long way since having a female leader ruffled some feathers, it’s still interesting to see the divide between male and female digital marketers. So, in light of International Women’s Day, I decided to get to the bottom of the case and speak to female digital marketers personally to see how they felt. It’s no secret that the digital marketing world lacks in females, but this by no means implies that our work should hold any less value. So, from the good to the ugly, here are the views of many incredible females which I had the honour of chatting to. It’s time to raise our voices loud and proud! “I’ve been blessed with a great ‘journey’ in Digital Marketing so far. I’ve always been lucky enough to work with some incredible women who supported my career growth and looked out for me! Even now, my manager is female and she 100% resonates with all work and personal issues I come across. I truly think I wouldn’t have felt as comfortable if the case was different. As a female, how has your experience in digital marketing been? 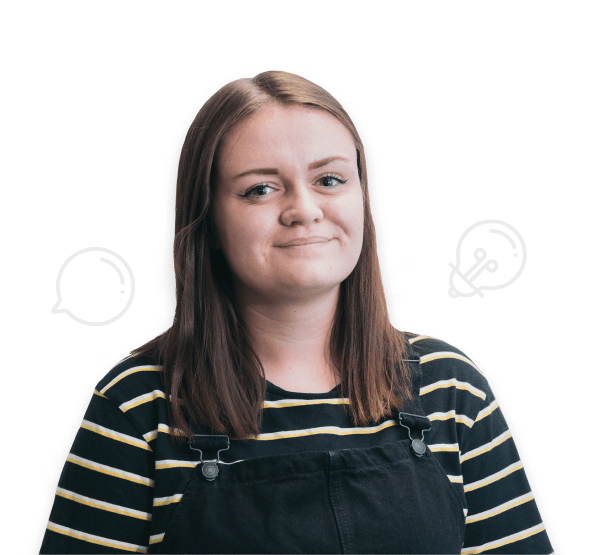 “I have had 2 jobs within digital marketing, both of them being apprenticeships. I am a very creative person so I knew that this route was the correct one for me right from leaving school at 16. At my old job, when working within an all-male environment it had its ups and downs. I did notice that because I was female whilst working there, there were a few issues around my gender. This did make me feel uncomfortable, however, I brushed it off my shoulders and did my work to the highest standard possible. In the end, I left this company due to them being unable to train me properly. As a female, how has your experience in digital marketing been? “My experience has been met with lots of doubt actually from male counterparts. In my first role in Digital Marketing, I was referred to as “young padawan”, when in reality I had more experience in the industry than they did. There was also lots of comments about my use of emojis (believe it or not). I remember writing a blog piece and being asked “wow did you write that all by yourself?”. I also get questioned quite a lot about my ability to fulfil tasks without letting my feminist views “get in the way”. Do you think there are any gender issues in the industry? “Yes. Personally experienced a lot. Even though we are highly qualified, dedicated, knowledgeable, experienced, as a female we are paid less. 💭 Expand your knowledge and creativity at every opportunity. As a female, how has your experience in digital marketing been? “I am fortunate enough to currently work in a primarily female office being in the fashion industry and have actually had no issues in my digital marketing career when in the business/office space. However, there have been occasions, during networking events or when meeting agency people, where I have seen some men go through the motions. The first is a slight slip on their part, a moment of shock in their expression when hearing my job role. This can then be followed up by some slightly patronising initial conversations where they often ‘mansplain’ certain parts of their roles in ecommerce/digital marketing or what I should be doing. I think what they struggle most with is the idea that it’s not just creative marketing that I handle but it’s data, analytics and strategising. Sometimes I do feel like legally blonde and I’ve just turned up in a pink suit to a room of suited men who make snap judgements (which if I’m honest, I actually do often wear a pink suit to these things). To their credit, I do also often see the change in these men, they become flummoxed, almost impressed once we have talked longer as they begin to understand the scope of what I work on and we begin to share ideas together. Do you think there are any gender issues in the industry? “I have worked in other places where the unconscious bias towards men definitely played a part in holding me back. I once worked in a team of several women, where we were referred to as “the witches of Eastwick” by our male boss. For no other reason than we were 3 women in control of a particular area of the business. In other roles, I’ve seen men routinely mentored where women weren’t and my skills, years of experience and qualifications, which included a Post Grad in Online Marketing, ignored, in favour of young men who had just graduated from college and fit their idea of someone they could shape and mould. Someone who would absorb their ideas and opinions with no questions asked. I’ve been lambasted for asking for a pay rise when my job went from an assistant to a manager, and been told I should be happy to work for free, just for the pleasure of working for that company. How can we improve on those issues? “On the whole, my experience wasn’t great until a few years ago when I joined Evolved, and it definitely depends on the culture and history of the business. At Evolved, we were a start up, able to create things from the ground up and not fight against years and years of tolerated, gender biased behaviour. It’s much harder when you’re in an established place that has created an environment where it’s acceptable to the point that people don’t even realise it’s happening. I think there are definitely still gender issues in digital marketing and they vary across people and companies. I think we can only address those issues by shining a light on them. We need men to acknowledge them too. And it’s not just within the workplace directly. Things like better maternity and paternity, more flexible working hours, more affordable childcare and pension contributions that don’t suffer if you have a family, etc, all help to create a more equal society, where women don’t constantly have to choose and be punished for whichever choice they make in a way that men don’t need to choose and aren’t punished. As a female, how has your experience in digital marketing been? “I’ve had a slightly circuitous route into Digital Marketing, in that I started out into PR, drifted into Content and then found myself in Digital Marketing proper, so my experience probably isn’t that typical of women in this sector. Broadly speaking, however, my experience has been positive. I’ve been lucky enough over the last decade or so to work with some fantastic and inspiring women, who have acted as mentors to me in shaping my career and working out where my real passions lie. There have been moments of frustration. Been talked over by men in meetings, being disregarded by clients who assume you are just there to make the tea, and the odd awkward comment about women being more ‘people-focused’ and men more ‘strategic.’ I even had an old (male) boss who, during an appraisal, gave me positive feedback for ‘looking nice’! Do you think there are any gender issues in the industry & if so, how can we improve on those issues? “As a society, we are still beset by gender discrimination, so this is as true in Digital Marketing as it is in any other sector. However, I believe we have an advantage in this industry, in that the workforce are generally curious, creative, progressive people. Whenever I speak to recent graduates coming into our agency, I have a huge sense of optimism about the future for gender balance in Digital Marketing; to people in their early twenties entering the workplace now, they are determined to shake things up and make sure that the agencies and brands they work at reflect their own values of equality and diversity. Look at your own team and spot the gaps; are women underrepresented? Those from BAME backgrounds? Those who identify as LGBT? If so, think about your team culture and how you can make small steps to attract and recruit a truly diverse bunch of people. 🗣️ When attending interviews, there were occasions when I have been asked probing questions about my personal life, which I felt were to see if I had/was planning on having children. I also know some employers who if they had two similar candidates, one male and one female, they’d pick the male for the same reason (less potential time off). This may change with the introduction of shared parental leave but I doubt it. 💭 Another issue is how emotions/stress are perceived differently by gender, men are seen as passionate, women emotional. Nike’s Dream Crazier video highlights this really well “if we show emotion, we’re called dramatic. “I think we are lucky in DM as it is a relatively new industry, there are less gender stereotypes as the positions haven’t been established by specifically men or specifically women. I think we also come across more and more female business owners as clients and suppliers which is fantastic. “If we do face any gender issues then I wouldn’t say they’re unique to our industry. I would say that being able to speak confidently about the subject is essential, especially when justifying the value of the work you’ve done for an existing client or pitching to a potential client. “I believe, on a wider scale, gender bias exists in digital marketing in terms of recruiting for job roles as well as specialisms. It is very common to assume that women tend to prefer roles more focussed towards content or social media, and the more analytical roles and data-driven roles would be filled by men. Firstly, a massive thank you to all of the amazing women which I had the pleasure of speaking to! Secondly, we hope that you found these insights just as interesting as we did. While it’s excellent that many female marketers have had excellent experiences and feel comfortable in their working environments, it can’t be ignored that there seems to be trends regarding how some women have been made to feel. Just like Kate Gresswell stated perfectly, we are in an industry full of curious, creative and progressive people, meaning we really have no excuses for gender bias. And, in the words of Beth Blake, if you’re good at your job, then your gender, age, background, shouldn’t stop you from doing this skilfully. Fewer women might be drawn into digital marketing roles, but this doesn’t mean that the women who are already in the industry should be any less valued. It’s 2019 and gender bias should simply not exist. Think about what you say, think about how you value your employees, and understand that everyone is capable of excelling in the career of their choice.